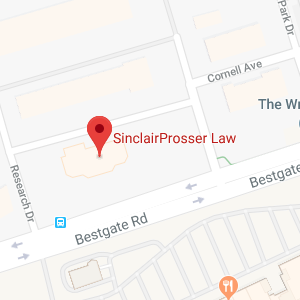 You have reached the SinclairProsser Law website because you are looking for estate planning and elder law resources in the Annapolis, MD area. We are glad that you have found us, because we take a great deal of pride in our commitment to our neighbors here in the area. Annapolis is one of the most unique and interesting places in the entire country. We are right on the Chesapeake Bay, and the maritime feel is what Annapolis is all about. Our city is known as the “Sailing Capital of the World,” and this is certainly an apt description. Of course, the Annapolis identity does not begin and end with sailing. When people who are not from the state think about Annapolis, delicious crabs are probably going to come to mind. This is not a misconception, and the people who live here in “Crabtown on the Bay” can certainly vouch for that. Taking advantage of all that the waterways have to offer is a big part of the Annapolis experience, but without question, the biggest source of pride is the United States Naval Academy. The amazing men and women who go to the Academy emerge as true military leaders, and they keep our country safe for the rest of us. Unfortunately, the majority of American adults are unprepared from an estate planning perspective. This is a disturbing statistic, because families often suffer the consequences of inaction. There are people who know that they should put an estate plan in place, but they procrastinate because they are reluctant to talk about personal, financial, and family matters with an estate planning attorney. We understand this, and we take it to heart. The people who work here at our firm are your neighbors here in Annapolis, and we are ordinary, down to earth individuals who sincerely want to help. There is a lot at stake, and you can preserve your legacy and make sure that your loved ones are provided for appropriately if you take the right steps. Each situation is unique from every other, and there are many different ways to proceed. If you schedule a consultation with our firm, first of all, we will make you feel totally at ease. We will gain an understanding of your situation, answer all your questions, and explain your options to you. Speaking of these options, you may assume that a will is the best estate planning document for you, but a trust of some kind would be better under many circumstances. With a will, you would be providing the inheritors with lump sum inheritances, so they could potentially squander their bequests. Plus, a last will would be admitted to probate. The heirs would receive nothing during the probate process, and this process will take eight or nine months to a year under simple, straightforward circumstances. The process can take longer if complications present themselves. On the other hand, if you were to use a revocable living trust instead of a will as your primary asset transfer vehicle, you would name a trustee. This trustee would handle the assets after your passing, so a beneficiary who was not a good money manager would not be able to make bad decisions. You could instruct the trustee to distribute limited assets over an extended period of time. In this manner, the beneficiary would have resources to draw from over the long haul, and the distributions would not be subject to probate. A revocable living trust can be a good choice for a wide range of people, but there are other trusts that can satisfy specialized estate planning objectives. Estate planning extends into the elder law realm. The primary elder law issue of our day is the matter of long-term care. Medicaid does not pay for long-term living assistance. If you have to hand your legacy over to a nursing home at the end of your life, there would be nothing left to pass along to the people that you love. Medicaid does pay for long-term care, but qualifying without losing anything in the process is complicated. We help clients implement effective nursing home asset protection strategies. If you are ready to take steps to prepare yourself for your twilight years as you simultaneously craft a suitable legacy, we are here to help. Our firm offers no obligation consultations, and you can call us at (410) 573-4818 or send us a message to schedule an appointment.